October 2009 | Tired, Need Sleep. One of our very favorite books is Caps for Sale by Esphyr Slobodkina. We found it at the library this week and have been reading it every day. We’ve had it before too – and we normally keep re-checking it out for as long as we can. I know, we should really buy it. It is “A tale of a peddler, some monkeys, and their monkey business”, as it says right on the front of the book. This is truly a classic and I think there are so many creative things we could do with this book. If you haven’t read it or shared it with your child, I highly recommend that you do! We also picked up One Morning in Maine by Robert McCloskey. This book features Sal from Blueberries for Sal (one of our absolute all-time faves), who is now a big girl with her first loose tooth. This is a precious, adorable story. This book speaks to children in their own language, and reminded me of how magical a time childhood is and how sweet our innocent little ones are. Sal’s loose tooth falls out while she is helping her dad dig for clams; she can’t find the tooth so she wishes on a feather instead, and even makes a wish for little Jane on an old sparkplug (you’ve GOT to read it to understand). This is just a very sweet story and I’m so glad we picked it up! For more book reviews go here! This was one of M’s shelf activities this week since we were talking about the letter P.
I found an old egg carton and grabbed 18 pennies, one for each little section. We took turns standing straight up over the egg carton and, with our arms bent at our waists, dropped one penny into the carton at a time. The goal was to get one penny and only one penny in each section. It is easy at first, but once you are close to the end of the pennies and there aren’t many open sections left it gets a bit more difficult. He had so much fun with this super-simple game and played it several times each day, even getting Daddy in on the action a couple of times. Sometimes he (M, not Daddy!) even played it by himself. In a week or two I’ll bring it back out and make it more challenging by putting “X”s and “O”s in the sections. Then each player will have to try to hit only his sections. We finally got around to doing another Bible story with actual activities to go with it. We’ve been reading the stories and talking about them, but I’ve just been completely out of creative ideas to go with any of them. The first book was Whales by Gail Gibbons – an excellent book for learning facts about these creatures. The second book was Baby Beluga, by Raffi. You have probably heard this song… the book is basically the song with illustrations. This one was also well-liked. And I just (today) found this flannel board set: If you are interested, click on the picture and it will take you to the site. The pictures are about halfway down the page. I’m going to make this for M so he can “do” the story on his flannel board. Of course I searched high and low for something to make at the time we were actually talking about this story and couldn’t find anything… this would have been (and will be) perfect! I found a coloring page here, printed it on cardstock and cut the whale out. M colored Jonah with a crayon. Then he mixed white and purple paint and painted the whale and an oval piece of cardstock that I had cut out. We worked on the letter “P” this week – it went well with all the Pumpkin activities we had planned. The big P has a pumpkin glued to it with a vine running down the side. He had a green stamp pad and used his fingerprint to make leaves on the vine. M glued a picture of a pumpkin pie to the small p and then glued a fork on the side. :) I thought it turned out pretty cute. He loved the idea too: Put glue all over the pumpkin then put the little squares on it like a collage. We’ve done mosaics before, but not in a while. With this one we talked about how the foam pieces were squishy, the felt pieces were soft, and the paper pieces were smooth. There were also light and dark orange foam pieces, so we talked a little about that distinction. What he really loved, though, was the glue. Pools and pools of glue. He used up the last 1/3 of the bottle. I tried, really hard, to hold my tongue, but after the 5th glue pool for one tiny orange square, I took the glue away. I helped him spread out the copious amounts of glue already on the pumpkin with a sponge brush so he could put on more squares. He put on maybe 3 more. Then he was done. His attitude was, the glue is gone, this isn’t worth doing. What is it with glue and this kid?!? I meant to include these in my Tot School post over the weekend. We did these last week, but I didn’t feel any of them deserved a post of their own; it was mostly ideas from other people. So, last week was Apple week here. M and Daddy went to the farm and picked apples from the orchard. They brought home 8 brown grocery bags FULL of apples, and said there were tons more that they didn’t get to. I’m thinking M will have to start a roadside apple stand when he’s a little bigger! So we made mini-caramel apples: We put sprinkles on just a couple. I really can’t stand sprinkles, the crunch just startles me every time, but of course M loves them. This idea was from Michelle. They were pretty yummy! This idea was from Ten Kids and a Dog. And we made a pretty apple suncatcher: This idea was from Izzie, Mac & Me. These were all fun projects!! I was just going through my pictures and realized we’ve done a few color-mixing lessons with paint in the last few days that I haven’t posted about. Anyway, last week he asked for red and yellow paint and discovered that they made orange (I totally let him make the discovery and tell me about it). Yesterday he asked for blue and yellow: After he painted for a while, I asked him what color they made when mixed together. Here he is staring at his hand, trying to figure out exactly what that color was: He wasn’t sure but finally said “dark green”. Apparently royal blue and yellow do make a brownish-green color. I’ve been wanting to make a votive or tealight holder with M for ages. And of course, when I’ve finally put it on our schedule (yes, I am that nerdy), I realize we are completely out of orange tissue paper. And I’m not running to the store just for tissue paper. And, yes, it must be orange. What other color is there the week before Halloween?? It ended up being pretty neat, actually, that we didn’t have orange, because we DID have red and yellow! :) I asked M what he thought red and yellow make when mixed together. “Green!”, he said. Because of this. Apparently green is what ALL colors make now when mixed together. ;) That is how the mind of a 3 year old works. So I held the red tissue paper up to a sunny window and then put a yellow piece over it. (M really liked this, and it has given me a great idea for a future color mixing activity.) He was able to see that they made orange. I think the fact that the “mixing” didn’t involve any real mixing (as with paint) was very interesting to him. I could see the wheels turning in his head. So, we got a small jar I’ve been saving just for this, some red and yellow tissue paper torn into small pieces, a foam paintbrush, and some decoupage glue. You can use plain white glue thinned with water too. Paint glue on, then a layer of tissue, more glue, and a second layer of the other color of tissue. Finish with a final layer of glue. What I ended up doing instead was creating this little guy: Isn’t he cute? Next week our theme is autumn animals – think owls, squirrels, bats… and raccoons. I found some great raccoon books at the library today, and wanted to make a fun workbox activity for M that went along with them. We haven’t done much with shapes lately, so I came up with this. He’s entirely made of shapes. Well, except for the googley eyes we’ll be putting on him and the whiskers (probably black yarn since that’s what I have on hand). If you are interested in making one, or if you ever do a raccoon theme, you can print out the template and instructions from here. I’ll probably cut the shapes out and then use them for a template on black paper. I’ll let M color the shapes on the second page gray. If you have a kid who is good with scissors, they could do a lot of the cutting too. Your packages were put in the mail this morning, Ladies! :) I hope you enjoy them!! Last week I mentioned that I would like to start a regular prayer request post on a second blog. Well, I’ve got it up and running. The first post was just published earlier this morning. I plan to publish a post there every Monday morning. That will be the only posting on that particular blog (at least for now; I can’t tell what the future may hold). If you are interested, you can find it here. We read 10 Apples Up on Top by Dr. Seuss (such a great book!! ), and did a cute flannel board activity putting apples on a picture of M! They are numbered 1 to 10 and size sequenced too. I have seen this in a few blogs lately, but I can’t honestly say where I saw it first. It was before I started keeping better track of that sort of thing! We also read The Seasons of Arnold’s Apple Tree, by Gail Gibbons. With this book we used these apple life-cycle cards from Montessori for Everyone. I made them into a little flip book so there would be no end or beginning to the cycle as we went through them a few times. We also did a fun activity matching apple patterns on a boy’s head. 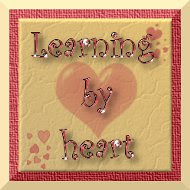 The cards and patterns are from Making Learning Fun. We made them into magnets and did them on a small pan. I saw this at Izzie, Mac & Me. He did his first dot-to-dot page: an apple! I think he did pretty well! It’s in a page protector and he used a dry-erase marker and a piece of felt for an eraser. We did an A activity for his new ABC book too! Check it out in this post. M also used his dry-erase marker on a zoo page from a workbook and tried drawing straight lines. And the big hit of the week was this: I made some 3”x3” cards from construction paper, used a black marker to write a letter on each one, and put it in a box with some toothpicks. M picked a letter and a toothpick and, working on the carpet, poked holes along the letter. This was a lot of fun for him and was good for letter identification, letter formation, and fine motor skills (again!). We held them up to the window and saw the light shine through the little holes. I got this great idea from prekinders – that site is full of good ideas! And so many of them are super simple like this! grew up to be an apple tree! We added motions to it and M wanted to sing it several times. Preschooleducation.com is a great place to find poems and songs! Check here for more tot school posts. Bumpa Rumpus and the Rainy Day by Joanne Reay and Adriano Gon. This is a book for when you are in a silly mood; it’s a lot of fun! Bumpa Rumpus wakes up on a very, very, extremely, rainy day and listens to all the sounds the rain makes – plup-plup from the gutter, tik-tik from the glass, tom-tom on the roof, and ta-toosh on the grass. Every page is filled with fun sounds and it has an overall great rhyming rhythm. It’s pretty fun to read out loud! I have to admit I’m happy when M picks this one. :) There is a fun *sorta-surprise* ending too!! And one more! This is the one I’m most excited about because I bought it from the sale cart at our library for 50 cents!!! We’re Going on a Bear Hunt by Michael Rosen and illustrated by Helen Oxenbury. I should mention, anything by illustrated by Helen Oxenbury is sure to be a good book. I haven’t found one yet that we didn’t absolutely love. This is a classic, and I’m sure many of you have read it. If you haven’t, read it as soon as you can! This adorable family goes on a bear hunt through tall, wavy grass, a deep, cold river, some swampy mud, and on and on. Each part of their trek has a great sound effect that goes along with it - “squelch squerch” through the mud. And of course, they are not afraid, not one tiny bit… until they actually see a bear. :) The ending is just terribly exciting if you are a 3 year old boy! This is on our top ten list and I’m so happy to have found it at such a bargain! Go here for more book reviews! I have had this thought going through my head lately… actually plaguing me at times because it wasn’t something I was sure I wanted to take on. I also wasn’t sure how well-received it would be. So here goes… give me your feedback, please! I’m thinking of having a weekly prayer post – somewhere that anyone who wishes can link to or leave a comment with their prayer requests, and know that others will pray for them. Sometimes it’s just easier for some reason to confide in online friends than in “real life” friends. Sometimes the emotions are just very raw, and the typing it all out helps more than actually speaking the words. Sometimes it’s just nice to have one more place to go to ask for prayers, even after having asked people we know to pray for us. Here’s the format I have in my mind, but I’m totally open to suggestions too! I’m thinking of having some scriptural quote or possibly a passage from a book – mainly having to do with motherhood, wife-hood, and/or just basic Christian life; some sort of food for thought. Then listing my prayer requests for the week. I will probably be able to keep this fairly short (think bullet points) most weeks, but of course we all have weeks where we need extra prayer for crises or special circumstances. Then I would either open it up for people to leave prayer requests in the comments, or if there’s enough interest, a McLinky for others to link their own prayer posts to. This would be for prayers of petition, intercession, thanksgiving, etc. So… any takers? I feel like this is something that’s been laid on my heart; I am a *pray-er* and I know many of you are too! Let me know your thoughts!